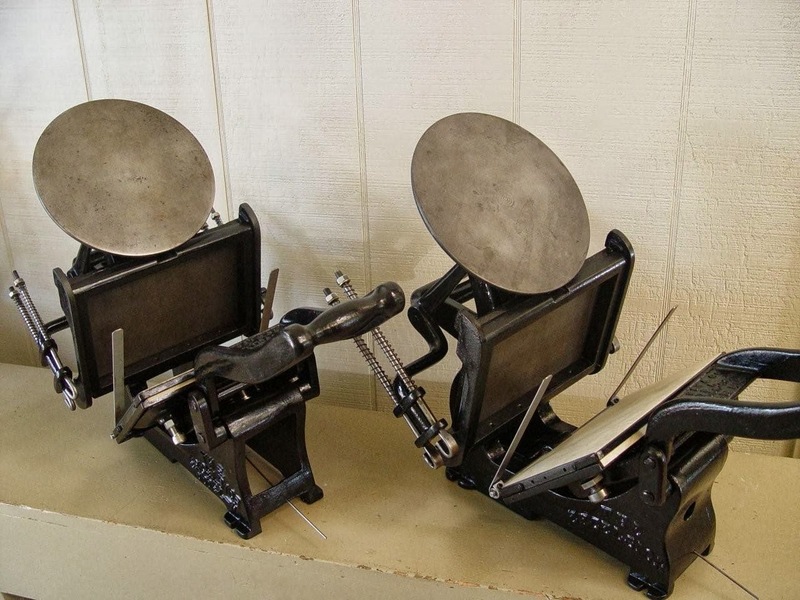 The Press of Robert LoMascolo: Letterpress Restoration . . .
Letterpress Restoration . . . 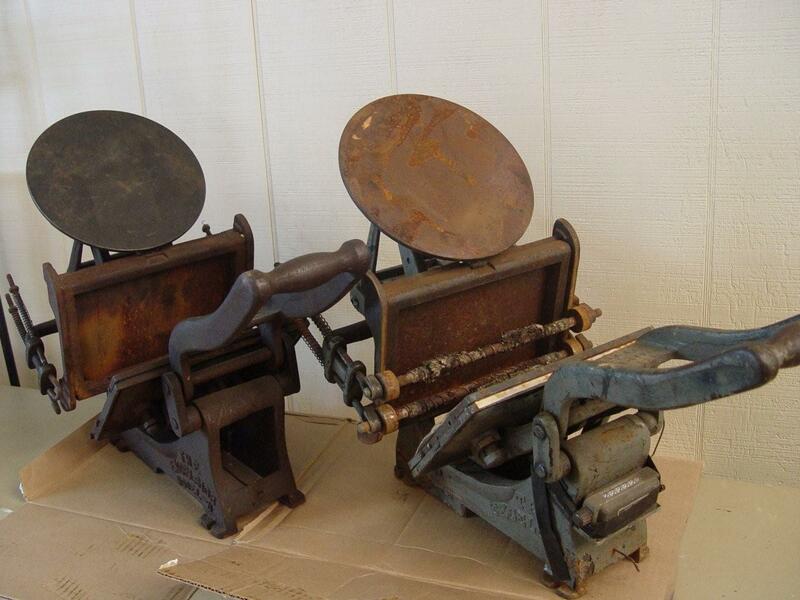 Rob just finished restoring two new Kelsey 5x8 tabletop presses! They started out a little rough, but are now looking like new. It took some effort, an overnight soaking in rust remover, lots of penetrating oil, a blowtorch, a wire brush, and finally some fresh paint to get them to this point. The rollers had to been sent out for new rubber, but as soon as they return, the presses will be ready to go to work! If you would like to have a chance to try them out for yourself, don't forget to sign up for Rob's upcoming letterpress card making workshops at Cayuga Community College!